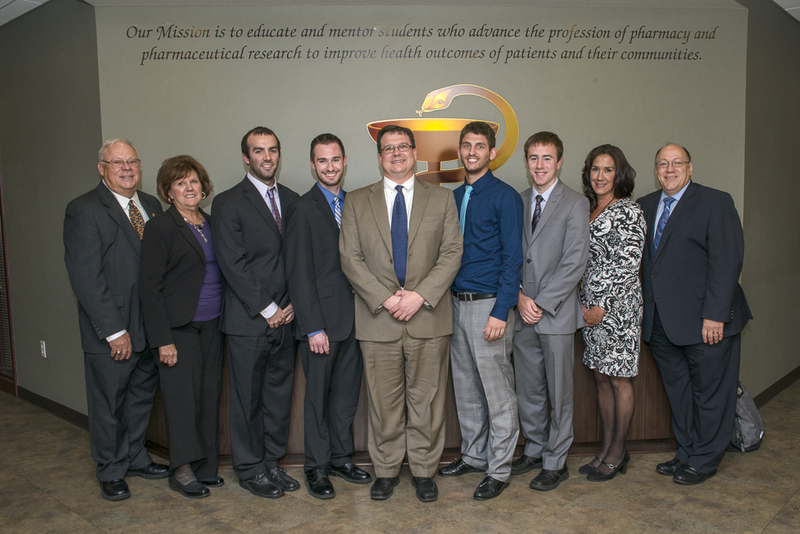 Mylan School of PharmacyThe Third Annual Student Pharmacist Entrepreneurial Business Competition for the Duquesne University Mylan School of Pharmacy was held on October 9, 2014. Pharmacists, student pharmacists, faculty and Dean J. Douglas Bricker attended the event. Three pharmacy alumni who actively work in or own independent pharmacy businesses served as judges for the competition: Gilbert "Gib" Zilner (P'60), Joan Zilner (P'60), and Terri Kroh (P'88). All three of the judges have focused their careers on the entrepreneurial spirit of pharmacy practice. Four students from the Entrepreneurial Concentration participated in the business competition. Monetary awards went to the 1st, 2nd and 3rd place winners. In addition, winners received a certificate. The winner of the competition was Thomas Reardon, for his business plan "TR Pharmacy- A Community Pharmacy with a niche in specialized clinical pharmacy services for patients with mental health disorders." The second place winner was Corey Madden, for his business plan "Pittsburgh Pharmacist Connection- A Pharmacist counseling and consulting service for independent pharmacies." The third place winner was Jack Moschgat, for his business plan "Cambria LTC Pharmacy- A long term care pharmacy with a niche for incorporating technology into nursing homes to eliminate medication wastes costs." All four students had completed the Duquesne University Mylan School of Pharmacy Entrepreneurial Concentration, which is lead by Dr. Robert L. Maher, Jr., Assistant Professor of Pharmacy Practice in the school of pharmacy. In an effort to promote and grow the interest in the pharmacy entrepreneurship, every student in the Pharmacy Entrepreneurial Concentration is required to create a blueprint business plan for the development of a future pharmacy business. According to Dr. Maher, business planning is the key process for the development of a new organization, and it is the living document that helps aspiring entrepreneurs plan for the future, measure their achievements, manage their risks and stay focused. The business competition is designed to promote creative, innovative entrepreneurship among student pharmacists, and encourage them to develop a viable, innovative, pharmacist-owned business. It allows the business competition to be a springboard for students to get their ideas on paper, and through a judging process have the opportunity to receive meaningful feedback on their business plans. "The business competition was a lot of fun. It was great how it allowed us to show off our final product for everybody to see," said First Place winner Thomas Reardon. "In addition, the feedback by the judges is what really mattered. Because for us to be successful entrepreneurs in the future, the constructive critique was the most valuable part of the process." "The business competition was a unique and challenging opportunity," said second place winner Corey Madden. "It allowed me to learn the process that must go into developing a business from scratch and it allowed me to hone my presentation and entrepreneurial skills.